Do you consign art at your gallery? If so, ConsignPro is the perfect choice for managing your relationship with your artists. 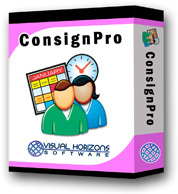 ConsignPro can easily track each consigned piece, support any split you assign, provide inventory reports to your artists, as well as pay your artists on-demand. With a robust point-of-sale feature, you can also use ConsignPro for your retail items and their existing barcodes too!